F irefighters from UK and New York fire services recently came together for a competitive golf tournament in memory of the firefighters who lost their lives during the September 11th attacks. 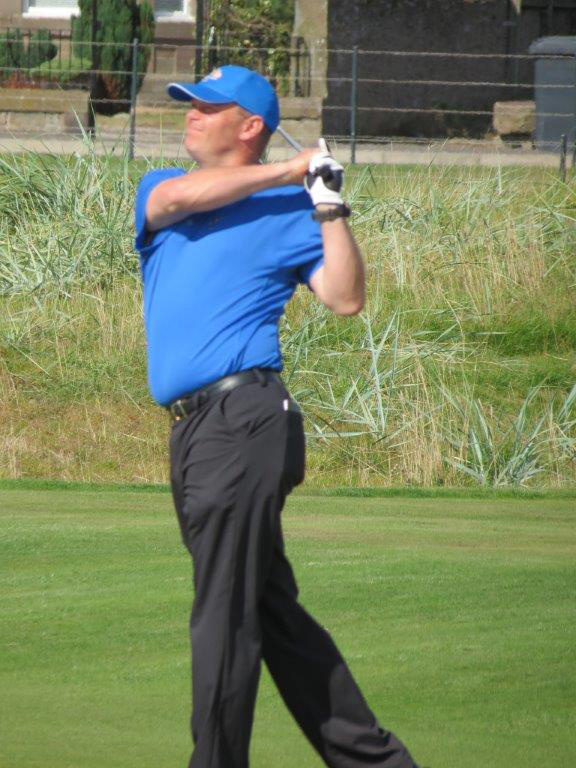 The tournament also saw leading protective clothing figures from DuPont, Hainsworth and Bristol Uniforms participate in the action through sponsorship and a few rounds of golf on the famous Carnoustie course in Scotland. “Everyone remembers where they were on that day”, explained George Farenden, consultant at DuPont and former firefighter. “For firefighters the world over, the events of September 11th will never be forgotten. As a mark of respect, every other year the Bristol International Airport Fire Service and the New York Fire Department take turns hosting a golf tournament in memory of the firefighters that lost their lives”. This year’s tournament saw firefighters from various UK fire and rescue services and 16 firefighters from the New York Fire Department come together to play the ‘Cyder Cup’ tournament. The tournament prize was a replica of the Ryder Cup trophy with an apple on the top – symbolic for New York city’s moniker ‘The Big Apple’. Symon Clifford, Chief Fire Officer at Bristol International Airport and one of the lead event organisers, explained “rivalry between the UK and New York teams was fierce over the three day competition. In the end all that separated us was one stroke. After the UK team’s golf ball ended up precariously sitting a millimetre away from the hole, the Americans were announced as the victorious team and awarded the coveted Cyder Cup”. Throughout the week, the two teams played the Carnoustie, Formby Hall and Mortonhall courses and the New York team attracted great interest from the firefighters and general public alike. Symon continued, “the Americans particularly enjoyed the Carnoustie golf course this year as the anticipation builds up to 2015, when the Amateur Championships will be played on the very same course”. George concluded: “This golfing event has been running since April 2002 and has always been about the bond between firefighters across the world. Because firefighters risk their lives to save others, DuPont makes it its mission to understand their safety needs and was proud to offer its support for the event. DuPont works hard to develop next-generation materials, foster innovation and forge new research relationships to help shape the future of firefighter safety across the world and this event served to strengthen those bonds further”.